The Awards Ceremony of the 3rd International Film Festival & Awards．Macao (“IFFAM” or the “Film Festival”) was staged at the Macao Cultural Centre at 8:00 p.m. tonight (14th December), gathering around 800 guests including internationally-acclaimed film directors, film stars and industry professionals from around the world. 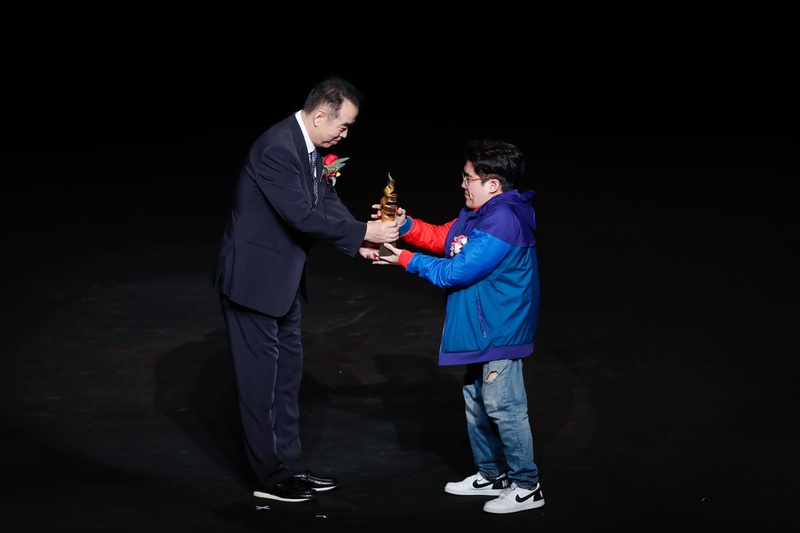 The Film Festival screened 54 spectacular films this year, including 11 films competing for nine awards in the Competition section as well as six film entries of the “New Chinese Cinema” for the Best New Chinese-language Film of the Year. All winners were revealed at the Awards Ceremony tonight. Secretary for Social Affairs and Culture of the Macao Special Administrative Region Government, Alexis Tam; Spouse of Chief Executive of the Macao Special Administrative Region, Winnie Fok; Director of Macao Government Tourism Office (MGTO) and President of the IFFAM Organizing Committee, Maria Helena de Senna Fernandes; the two Executive Vice Presidents of the IFFAM Organizing Committee, namely, President of Macau Films & Television Productions and Culture Association (MFTPA), Alvin Chau, and President of Cultural Affairs Bureau, Mok Ian Ian; IFFAM Ambassadors Shekhar Kapur and Xue Xiao Lu; Talent Ambassador Aaron Kwok; Jury President of IFFAM, Chen Kaige; Jury members of IFFAM, Mabel Cheung, Danis Tanović, Tillotama Shome, and Paul Currie; Artistic Director of IFFAM, Mike Goodridge; Director of El Gouna Film Festival, Intishal Al Timimi; Director of Sydney Film Festival, Nashen Moodley; Artistic Director of Chicago International Film Festival, Mimi Plauché, and Creative Director of Mumbai International Film Festival, Smriti Kiran, were present at the Awards Ceremony among other personages. Famed Hong Kong hosts Bob Lam and Astrid Chan are the hosts of the evening. 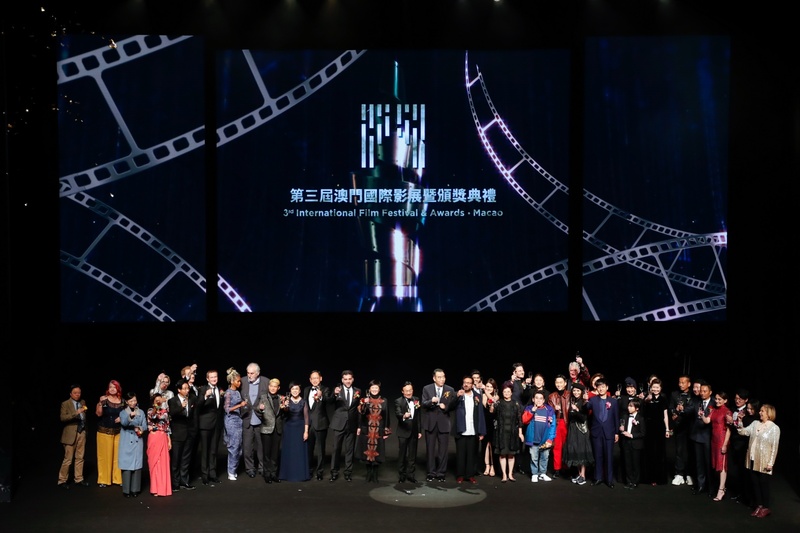 The Competition section once again spotlighted first and second-time feature film directors this year, pitting 11 films against each other for nine accolades attributed by the jury and the Macao Audience Choice Award, of which the winner was voted by local audiences. The 11 films include “School's Out”, “The Guilty”, “Clean up”, “The Good Girls”, “Ága”, “Scarborough”, “Suburban Birds”, “White Blood”, “All Good”, “Jesus” and “The Man Who Feels No Pain”. The new competition section “New Chinese Cinema” pitted six films against each other including “Dear Ex”, “Baby”, “Xiao Mei”, “Up the Mountain”, “Fly by Night” and “The Pluto Moment”. 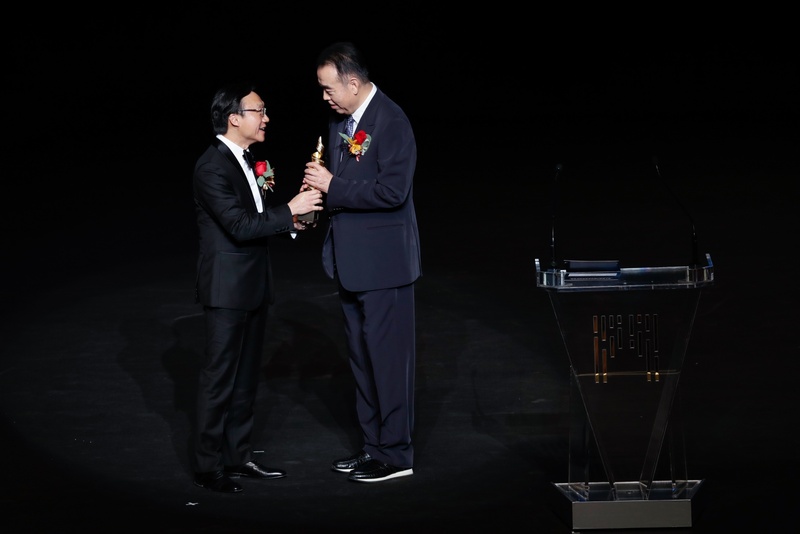 “Up the Mountain” took home the Best New Chinese-language Film of the Year. The award was presented by jury members for “New Chinese Cinema” Stephanie Bunbury, Nick James and Shu Kei. 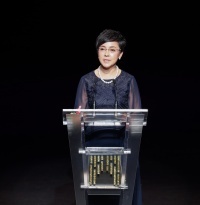 Besides the above awards, an array of other accolades was presented at the Awards Ceremony to commend outstanding films and filmmakers for their achievements. Internationally-acclaimed film director and Jury President of the 3rd IFFAM, Chen Kaige, directed his first film “Yellow Earth” in 1984, which garnered a number of awards and ushered in the new era for Chinese cinema. Recognized as one of the Chinese film classics, his acclaimed masterpiece “Farewell My Concubine” (1993) won the Palme d'Or at the 46th Cannes Film Festival in the same year, making Chen the only Chinese director who has received this top accolade to this day. 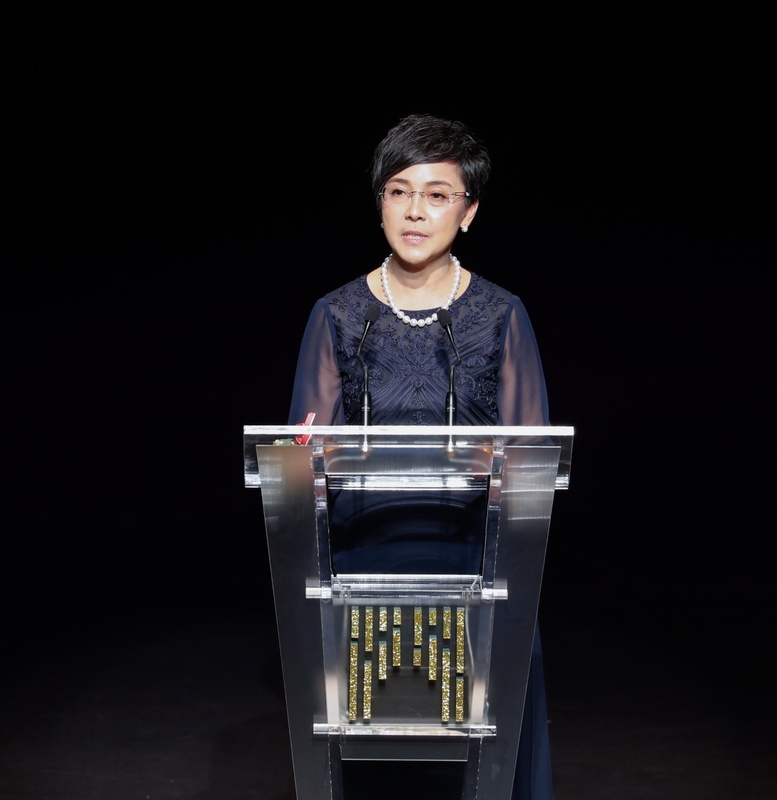 At the Awards Ceremony, Secretary for Social Affairs and Culture of the Macao SAR Government, Alexis Tam, presented the “Spirit of Cinema” Achievement Award to film director Chen Kaige. This year, 14 film entries of Local View Power were divided for three public screening sessions during IFFAM. In the prize-giving ceremony held yesterday, “The Melancholy of Gods” by Lei Cheok Mei was presented the Jury Prize for Best Film while “Halfway” by Ng Ka Lon received the Special Mention. The Film Festival was held for a week from 8th to 14th December. The Organizing Committee vigorously forges IFFAM into a prestigious brand in the international film industry as well as an East and West cultural exchange platform across borders and generations, while looking forward to joining worldwide professionals in reaching new milestones of the international film industry.